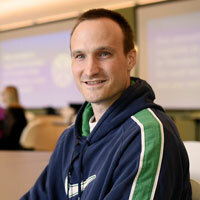 At Chemeketa students have lots of reasons to take online classes. 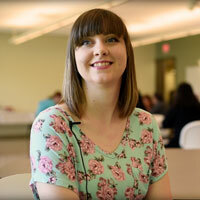 Students share comments about their online courses. Check out some of the student testimonials to learn more about each student and their experiences with online classes at Chemeketa. "Well for me it started with regular classes. I attended regular classes because it made sense at the time but I realized that timewise it wasn't working with me. I was working full-time and going to school full-time. The lecturers were during my work hours and my schedule changes constantly. I tried a hybrid class and what I really liked was the online section. I didn't really like going to class and lectures especially one time when they changed my schedule and I ended up missing a day in lecture. That affected my grade a little bit so I decided to go fully online and I loved it." "The biggest gain I got was from being able to take some of the math and science classes that are only offered one or two times during the day and being able to fit some of my other elective classes in at the same time like the sociology classes that I took in the summer. I wouldn't have been able to take them at the same time because they would have overlapped with the the other class I was taking so it really helped me actually get all my required classes in on time. 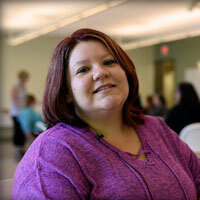 Taking online classes really helped me fit all my classes in when I needed them so I got them finished in time." "My first online class experience was a positive one and it made a huge difference and I think it's gonna make a huge difference for the rest of my online school career. The opportunity I've gained with online courses is just the flexibility of being able to check on your school work in progress anytime of the day. My advice for someone taking an online class is make sure you give yourself enough time for not just the online course but studying outside of it." hopefully to obtain a successful career. My advice to people looking at going to school online is to learn time management not to procrastinate and be self-sustaining with your mission to obtain your education." 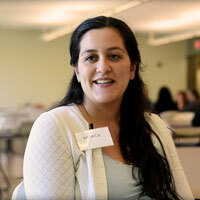 "The opportunities I gained by doing online classes were more time with my family. I'm a foster mom and with that comes a lot of responsibilities outside of my normal everyday life and so when visits pop up or when things happen online classes allow me to be flexible. I can do things on my own terms and I can go through the material over and over and go over the lecture over and over and really make sure I understand it." 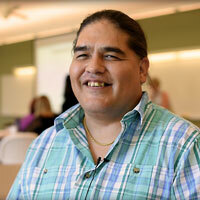 "My online class experience went very well for me because I was able to understand the material. I was able to work at my own pace and being somebody that was already familiar with being self disciplined and doing schoolwork on my own I was able to be very successful at it. 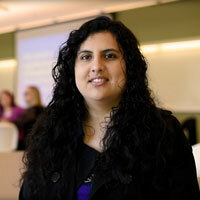 The opportunities that I had doing online classes were that I was able to take four classes in one term so that I could graduate all within one year and having one of them be an online class afforded me more of a flexible schedule so that I could get all of them done and not feel too pressured about all the deadlines."